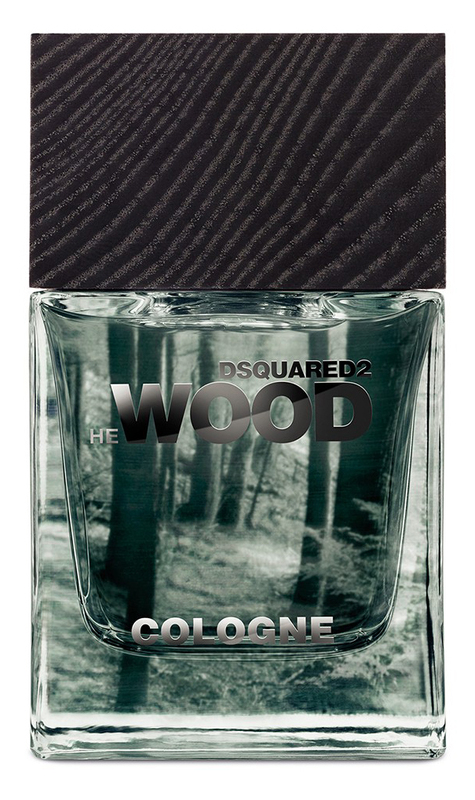 He Wood Cologne is a perfume by Dsquared² for men and was released in 2017. The scent is fresh-woody. It was last marketed by Angelini Beauty. the better and fresher HE WOOD? I have almost all fragrances of HE WOOD here, because I "fully descend" on this fragrance! I find these fragrances extremely special and simply different from the others. No matter whether someone says it reminds him of the cheapest plywood or of the American pine forest - there is definitely a certain basic seasoning of some wood absolutely present. As a former half trained carpenter I am also of the opinion that it does not smell exactly like wood - but it goes damn in this direction! Hard to describe! For me, however, it's also pretty aquatic or oceanic (see also the fragrance pyramid). And Zanzibar is just like the bar on Sylt in/at the sea. Maybe it's just because of this that I associate something woody-aquatic? But as described here on the pages that it is sweet: ...um... - wrong! Certainly there's a certain sweetness in it, but it's rather woody-aquatic. My opinion!! It could become my new favorite (along with many other favorites; a general problem of local members I think, he he)!! Yes, the other HE WOOD are more pronounced, have a stronger sillage and excellent durability - but are also a bit "too much of a good thing" because of this. Since they (I can't describe the feeling or the impression correctly - I'll just call it that) come across very "dust-dry", i.e. somehow standing on the spot without changing in any way, they can sometimes get on your nerves. But this one has a general freshness in it; something is different and therefore better for me. The scent also changes over time: sometimes it's woody, sometimes it's fresh. And that's exactly what makes this fragrance! It is more pleasing, more lively and "easier" to wear. The durability is certainly somewhat(!) shorter, but I still give him 90% of the other HE WOOD fragrances. So no big drama, no reason to worry! I'm not quite sure anymore if the name Cologne has anything to do with the mixing ratio here - maybe they called it so only because of the freshness? Let it work!! In the beginning it smells very much like hay (which is also somehow woody); as an old hay fever sufferer I thought at the beginning: "no, that won't work with us!" It's not flowery for me, except hay is equated with the scent of flowers? Furthermore I hate flower scents, which are m.M.n. rather something for our ladies. But this hay smells somehow nevertheless very good (there is again the sweetness with it). Give him a chance if you want something else! How do you rate the morning rain? There is nothing more beautiful than a pouring morning rain... Have never felt anything more beautiful than to wake up to a cloudy dark Sunday day and the sound of rain hitting the wooden roof... That is when you miss home the most... and He Wood Cologne has it all. The fashion house of Dsquared, headed by identical twins Dean and Dan Caten, released a new flanker of He Wood that shares the same D.N.A. with a new twist, this time in a cologne concentration. 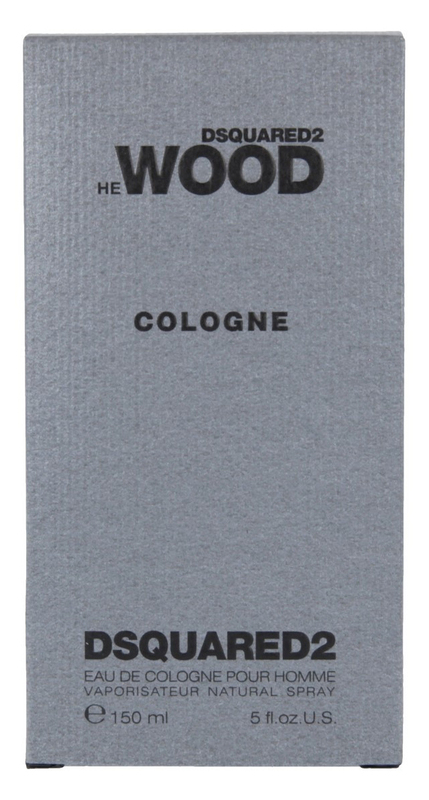 The disruptive He Wood Cologne breaks the rules reinventing the traditional citrus and floral eau de cologne by adding modern woody and watery elements to it, which evoke nature, strength, and vigorous virility through its simplicity. It won't be a quarter-hour late that the aquatic aspect arises, bringing the fresh accents of violet leaves and blossom to an utmost moment of brilliance. The watery accord is fabulous, like no other aquatic scents, ain't no marine, pungent, salty, or seaweed notes here, rather a fresh, pure, and cool smell of rain's drops in a pinewood. The dry down has profound notes of smoky vetiver and cedarwood sitting at the base, rounding out this woody, citrus juice, and that aroma is reinforced with animal musk and a tad of amber, just fairly to sweeten the blend. I loved He Wood since the very first moment I saw its wooden bottle and smelt the juice inside, and I happen to love Cologne, either. Longevity and sillage are moderate, this cologne is fine for office, day and evening wear. I recommend it for transition seasons, springtime and autumn time are proper for making it shine. If you’ve walked away when seeing a new He Wood on the department store counter stop and give this a try on a strip. You might be surprised, too.